Plaid Hat Games is pleased to announce Comanauts, the adventure book game of exploration and danger. Designed by Jerry Hawthorne, the acclaimed designer of Mice and Mystics and Stuffed Fables, Comanauts is the second installment in the Adventure Book system. 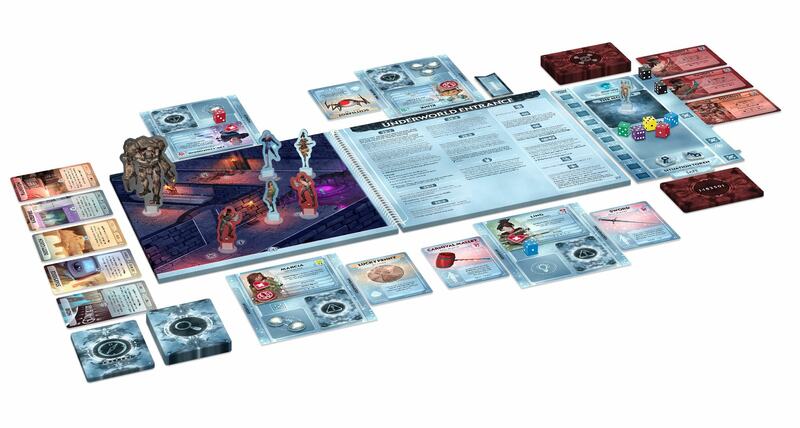 This exciting game builds on the mechanics first introduced in Stuffed Fables, providing a new experience for more mature players. Race against time to revive Dr. Strobal by exploring his tormented mind. As players work together to uncover the secrets of the doctor's subconscious, they will follow his inner child across eleven different Comazones. There they will attempt to locate and overcome the Inner Demon that holds Dr. Strobal hostage. Assume the role of 22 unique avatars as you explore the dangers and secrets of each world locked inside the doctor’s dream. Can you free Dr. Strobal from his own mind before it’s too late? 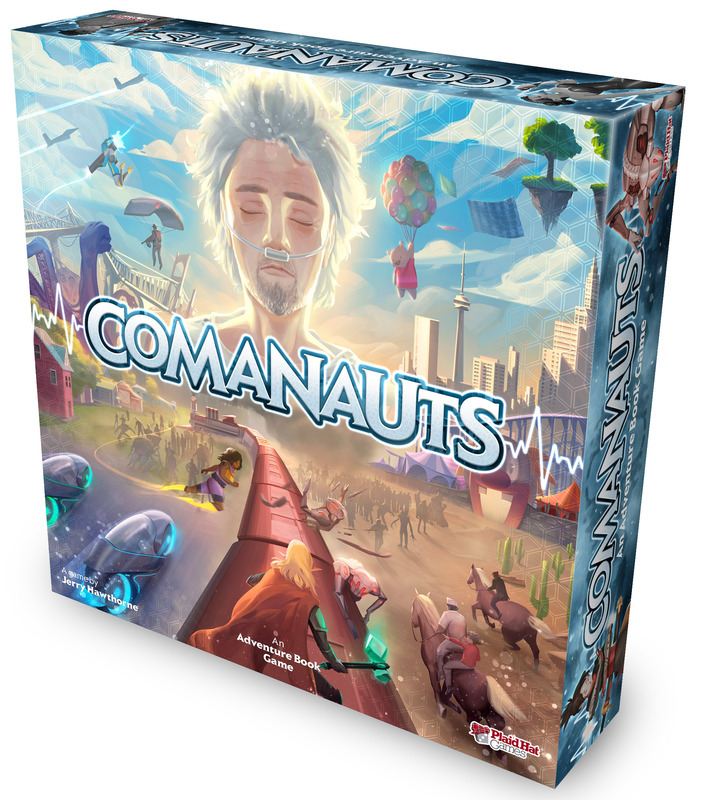 Comanauts is available for preorder now and will be arriving at retailers and to our own web store this December. Preorders directly from our web store will include Drake, the ex-soldier promo avatar! Drake comes armed with the Grapple Gun, a special weapon that allows him to traverse difficult terrain with ease, and the magical Katana of Speed, which grants him an additional level of protection. Drake also has the Valiant Willpower ability, which gives him a burst of heroic energy each time he uses it. 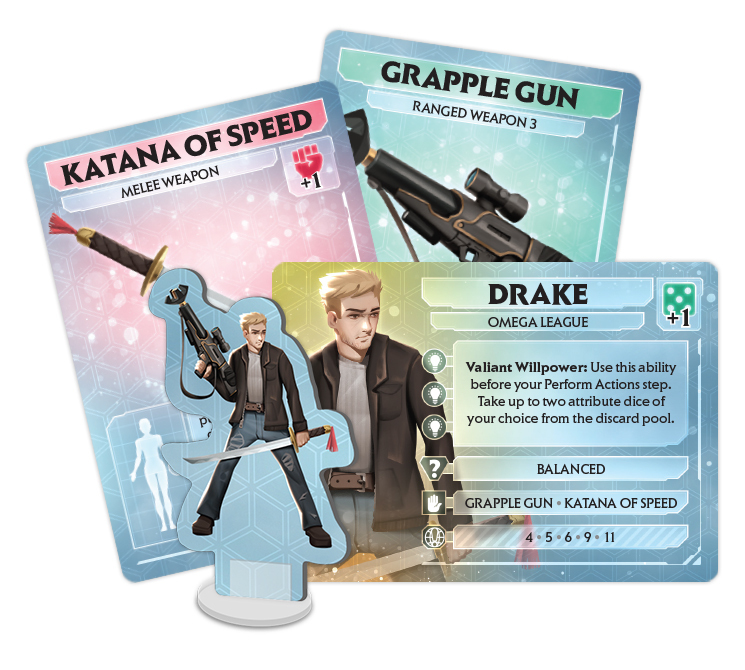 The Drake Promo Avatar will also be available to retailers near the release of Comanauts, so be sure to ask your local retailers to order it! Additionally, we’ll be demoing and showing off early copies of Comanauts at GenCon ‘18 this year, so be sure to stop by and check it out! You can download the rulebook for Comanauts here. Be sure to check back soon for more previews and updates on Comanauts soon!